Most of us, in our research, accept the need to be explicit in our goals, and open to empirical evaluation of whether we have achieved those goals. The same goes for our teaching. Just as with our research, explicit reflection on goals does not preclude unexpected results, insights or twists and turns along the way – the things that make both research and teaching to rewarding and exciting. 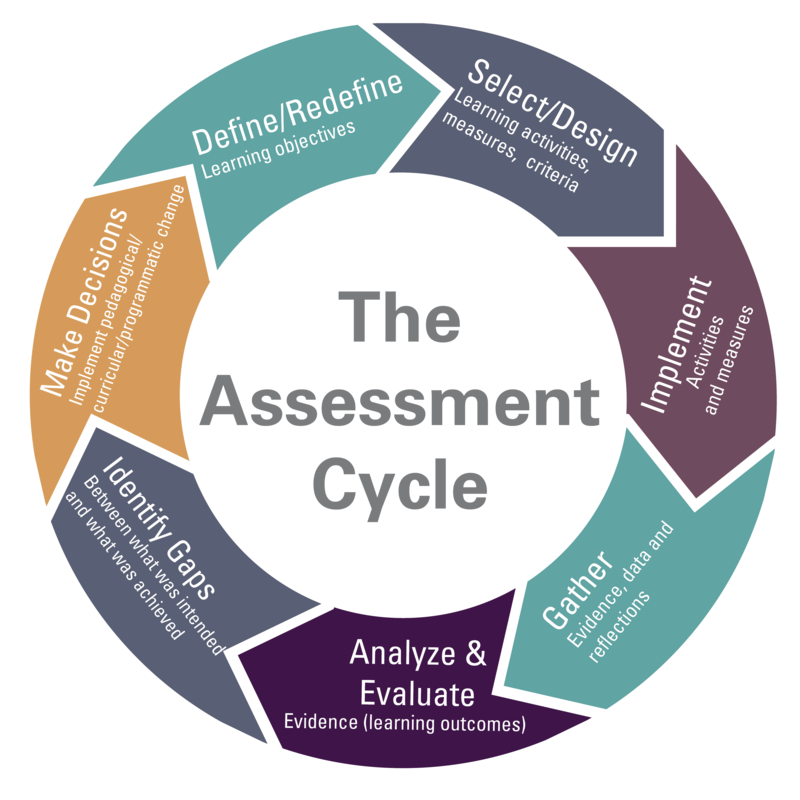 This figure summarizes the key components associated with the assessment of student learning. While the figure illustrates this process as a sequential cycle of steps, the order can vary; for example, designing measures of student learning can lead to rethinking some course objectives. To read more about course design, teaching methods, and evaluating courses, see our Teaching Strategies & Materials page.